Along the beautiful Northern California Coastline, approximately 150 miles north of San Francisco visitors will find Mendocino. 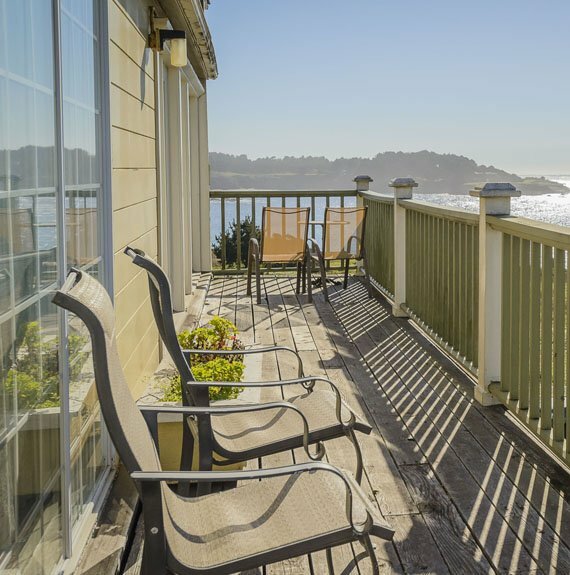 The Mendocino Hotel and Garden Suites is a hidden gem that rests on Main Street in the heart of the village overlooking the Mendocino Headlands and the Pacific Ocean. The hotel can be easily accessed from the Shoreline Highway 1 and is near Little River Airport. Further away, guests will find the Sonoma County Airport and San Francisco International Airport. We are located minutes from Mendocino Bay and the Pacific Ocean, and a leisurely stroll away from the Kelly House Museum, the Guest House Museum, the Ford House Visitor Center, and the Temple of Kwan Ti. 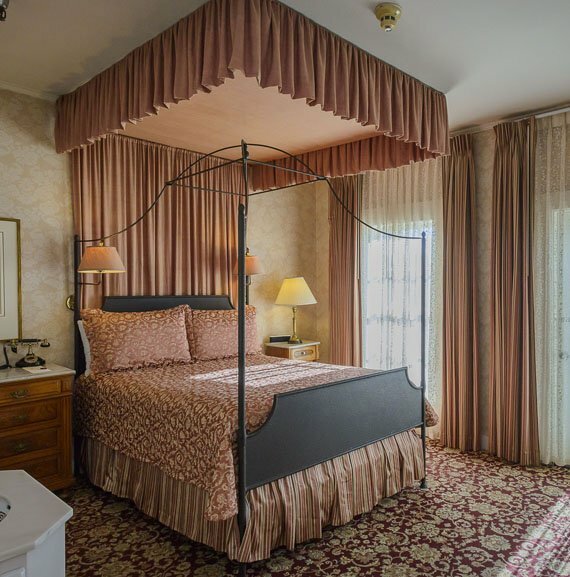 Having been established in 1878, the Mendocino Hotel and Garden Suites boasts the distinction of being the only historic full-service hotel in town. Our central location makes it easy for guests to explore the nearby forests, nature preserves, state parks, wineries, and the many attractions that draw visitors to Mendocino every year. With whale watching, horseback riding along the beach, rental bikes, kayaks, and canoes nearby; Mendocino offers seemingly endless adventure. As a historic building, the Mendocino Hotel and Suites provides a unique setting, and we pride ourselves on providing our guests with signature amenities and tailored services. Our full-service hotel is home to our restaurants that provide sumptuous meals. For fine dining service, the Victorian Dining Room is available in a quite atmosphere. The Garden Room Café offers beautiful views of the ocean and serves breakfast and lunch. Offering amazing breakfast and lunch specials daily. Our Lobby overlooks the ocean and serves the Bistro menu. Guests are invited to enjoy drinks at our bars throughout their stay enjoying a Bloody Mary early in the morning or an afternoon draft available in the Garden Room. Or enjoy a local bottle of wine at our Lobby bar. Happy hour M-F 3:30 PM thru 5:30 PM. Morning coffee and tea are served from 6AM thru 10AM daily in the common area. For the convenience of our guests, we provide complimentary WiFi and complimentary self-parking. We also provide a business center, and meeting rooms, as well as complimentary newspapers in the lobby. One of the shining features of our historic property is the magnificent gardens. Other comforts include concierge service, a bellhop, a friendly and helpful 24-hour front desk staff, and secure storage at the front desk. We also specialize in custom wedding services. Room service is provided 8AM thru 8PM daily. Mendocino Hotel and Garden Suites keeps guests busy with an impressive array of activities. Visitors to the area enjoy exploring miles of natural coastline and imposing forests. There are several nature trails nearby where guests can enjoy quiet walks, at favorite State Parks like Big River, The Mendocino Headland, Jughandle, or MacKerricher provide ample opportunity for visitors to engage in bird or whale watching. Enjoy a hike along the headlands with spacious ocean views. Our historic hotel is steps from boutique shops, museums, kayak, canoe or bike rentals; and a short drive from wineries. The Garden Suites are situated on the grounds of the original Heeser House Farm Building from 1878. The suites were created out of four charming cottages set immediately behind the Main Street Hotel. Mendocino is known for its temperate coastal climate and towering forests. This hidden gem is quickly gaining recognition as a hot spot for wineries and tasting rooms. Mendocino is also home to a budding artistic community as well as an impressive selection of specialty shops. Our central location makes it easy for guests to explore the nearby forests, nature preserves, state parks, wineries, and the many attractions that draw visitors to Mendocino every year. The Mendocino Hotel & Garden Suites and Restaurant is the perfect setting for your wedding ceremony and reception, and has elegant accommodations for you and your guests. Just three hours from Oakland/San Francisco through the Anderson Valley Wine Country, the hotel overlooks the Pacific Ocean and can accommodate groups up to 250. Located in the heart of the historic Village of Mendocino, it is a romantic wedding destination for brides and groom.